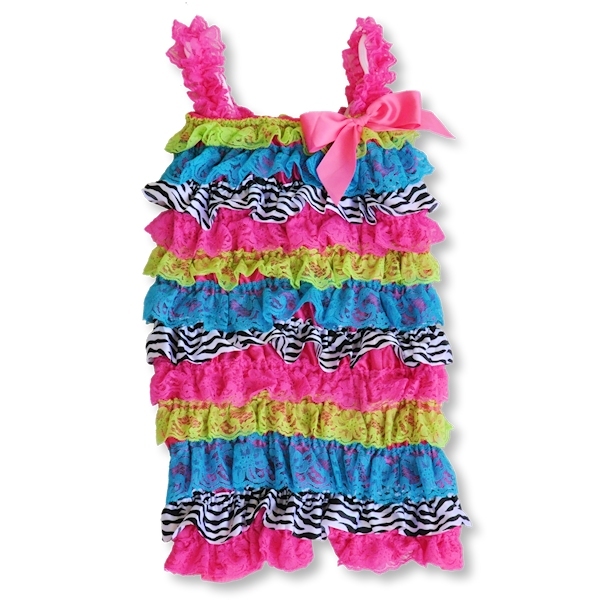 CLEARANCE Rainbow and zebra print lace petti romper for baby, infant, toddler and girls. 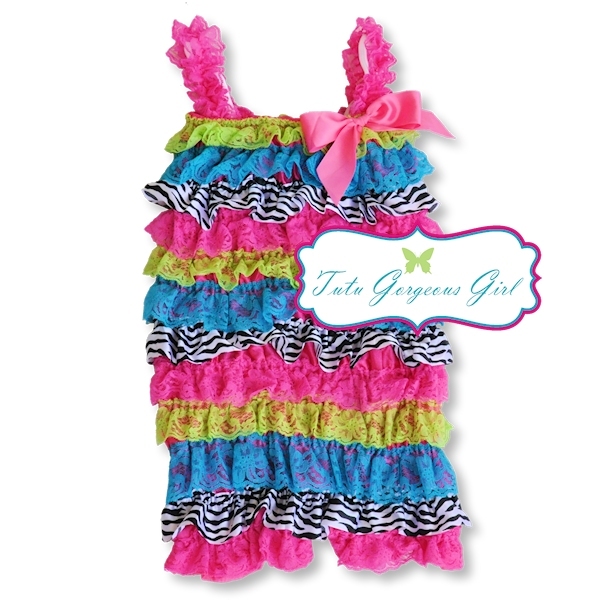 This fabulous rainbow zebra print ruffled lace petti romper is perfect for pairing with tutus, petti skirts or wearing alone. A fabulous choice for portraits, birthday girls, special occasions or any day in between. 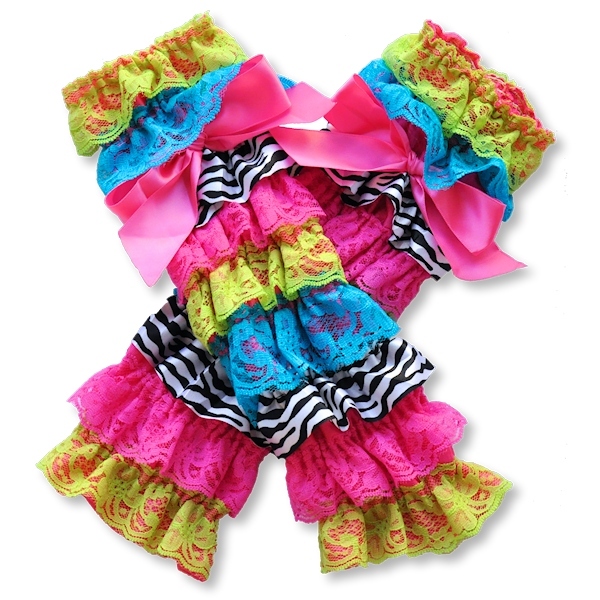 Each romper is made with many soft layers of lace, and includes straps and a satin bow.